Yesterday the embryo went in. Next week the pregnancy test. The week after, a scan. Even if all is well at that point we still have a long haul to get through the first, relatively risky, trimester. Then of course I have to think about how my lovely wife is affected by all this. If I seem too excited then maybe I’m creating too much pressure, but if I don’t seem excited at all, then what’s the point? It will seem like this isn’t important to me – which would be completely wrong. It’s just too difficult to get my head around! I’ll have to keep pondering that one. Mostly though, I’ll just keep my fingers crossed and try to look after the most important person in my life – my lovely wife. Or should I say the 1.05 most important people in my life??? Argh! In other news today, I gave the IVF clinic a ring to find out how many of our embryos they were able to freeze. A little aside here. During IVF they overstimulate your ovaries in the hope of collecting and fertilising at least one egg. This is a ‘the more the better’ situation, mainly because they want to be able to select a really good strong candidate to implant. However, for some couples quite a few eggs are collected, quite a few fertilise, and quite a few are graded high quality on embryo transfer day. So, when the whole palaver is over with and the embryo is transferred, the doctors decide if any of the left over embryos are worth keeping. If they look like they might be viable, they are frozen and the couple can use them at a later date. This may be because the first time doesn’t work out, or it may be for a second child. The key benefit is there is no need to do all of the ovary stimulation and all that stuff again if you use a frozen one. The down side is that not all embryos survive the thaw. Now as I have mentioned before the NHS are very kindly funding our IVF treatment, and we are entitled to two NHS funded ’rounds’ of IVF. A round is one egg collection, and subsequent implantation of as many viable embryos as you can produce. For some couples this will be no implantations. For many it will be one implantation. For a few it will be several implantations, but fewer than half of couples have any embryos that are sufficiently to freeze. You can imagine that we were keen to have some frozen embryos and on day 3 post egg collection the clinic had guessed that we might have some. I was hoping for about three. I thought that was quite optimistic. Well I am delighted to say we have been able to freeze seven day 6 blastocysts. I absolutely cannot believe it. 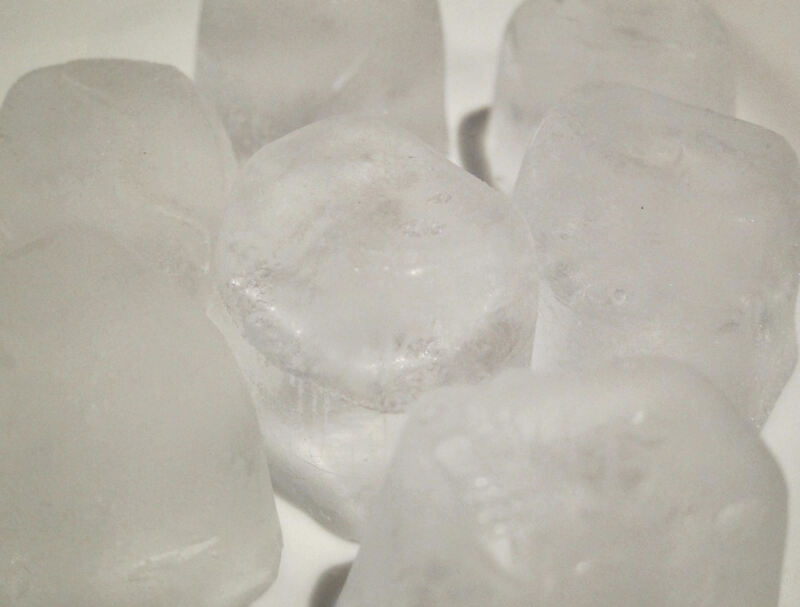 So today you get a symbolic photo of seven ice cubes. Note, not actual day 6 blastocysts hehe! The way this is going really does make me wonder why the husband and I have not been able to do this ourselves. But perhaps the problem is with the implantation stage. We will see how we get on with that now, anyway. At least we can probably have a few goes with good quality embryos if we need to, in our first NHS funded round. This will help us to cope a bit if this go doesn’t work and it really takes the pressure off, for the time being at least.